Friday, March 22, 2019 — The Trade Enhancement for the Eastern Caribbean (TEECA) Caribbean Youth Entrepreneurship Challenge Semifinal boot camp held in Saint Lucia last week ended successfully with five female student entrepreneurs from the OECS selected by the jury for the finals. The two-day event was dedicated to OECS tertiary level students who had applied to participate in the TEECA Caribbean Youth Entrepreneurship Challenge. The EU funded project was launched in 2018 by the Chamber of Industry and Commerce of Martinique (CCIM) in partnership with the OECS, Caribbean Export and the Collectivity of Martinique (CTM). Ten student entrepreneurs took part in the semifinal boot camp which enabled candidates to develop and pitch their business to the panel of judges. Head of the OECS Competitive Business Unit Jacqueline Emmanuel Flood highlighted the importance of the multicultural dimension of the project which enables English speaking students of the OECS and students from Martinique to learn about each other’s way of doing business. “TECCA Caribbean Youth Entrepreneurship Challenge provides young people with the opportunity to think about creating their own jobs as they are completing their studies. This is important given the high rate of unemployment in the Eastern Caribbean region. An increase in exchanges and cooperation between the OECS and the French territories has become even more critical with the accession of Martinique and Guadeloupe to the OECS as Associate Members” Mrs Emmanuel Flood said. The boot camp featured multiple activities including workshops on the art of pitching, business model development, lean startup and mentoring sessions. The judges comprised official representatives of Invest Saint Lucia, the Saint Lucia Small Business Development Centre, Saint Lucia Development Bank and Export Saint Lucia who evaluated based upon criteria including creativity and innovation, marketing and management feasibility, growth potential as well as the overall pitch presentation. OECS Entrepreneurship & Innovation Technical Specialist Kwesi Roberts underlined the development of students’ skills in business planning using the lean startup methodology as one of the key components of the TECCA Caribbean Youth Entrepreneurship Challenge. “The goal of the OECS Competitive Business Unit is to accelerate the rate of business creation in the Eastern Caribbean by providing young entrepreneurs with a platform to develop and monetize their business, and most of all to contribute to the economic development of the region in the long term. “While the road to entrepreneurship is challenging, the linkages resulting from this project along with the support from the partners will enable the participants to successfully launch their business”. Mr Roberts said. The five following teams of student entrepreneurs were selected for the finals of the TECCA Caribbean Youth Entrepreneurship Challenge. The finals to be held in Martinique in June will be keenly contested for a prize of 10.000 Euros and a business development mentoring programme to launch their business. The TEECA project (Trade Enhancement for the Eastern Caribbean) is co-financed by the INTERREG Caribbean program and led by the Martinique Chamber of Commerce and Industry (project leader), in partnership with the OECS (Organisation of Eastern Caribbean). States), Caribbean Export (Caribbean Export Development Agency), and the CTM (Territorial Community of Martinique). Launched in 2018, the TEECA project aims to accelerate trade within OECS member countries. Thus, 30 companies selected at the end of the call for projects benefit from a tailor-made support program for two years with the aim of embarking on exports to the Caribbean. The TEECA project also aims to promote entrepreneurship among young people in OECS member countries through the TECCA Caribbean Youth Entrepreneurship Challenge. The project teams of young entrepreneurs selected following the call for applications will compete and try to win a prize of 10.000 euros and a business development mentoring programme to launch their business. 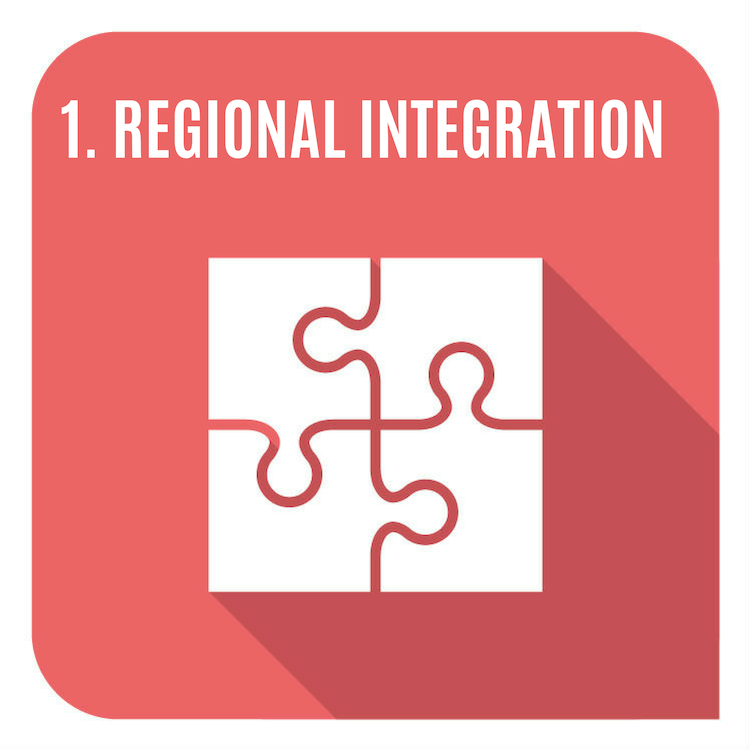 Guided by the Guadeloupe region which is the Managing Authority, INTERREG Caraïbes is a European program enabling Guadeloupe, Guyana, Martinique and Saint-Martin, French and European territories, to undertake cooperative actions. with their neighbours in the Greater Caribbean, more than 35 countries from an area that encompasses the North, Mexico, to Venezuela to the South. Applications open for the Trade Enhancement in the Eastern Caribbean project!